Hello everyone! 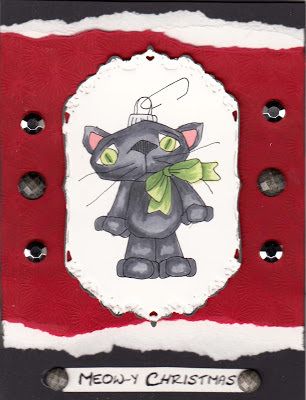 here's another adorable Christmas theme card from Queen Kat stamps for July! We are having our Summer Holiday special this year. 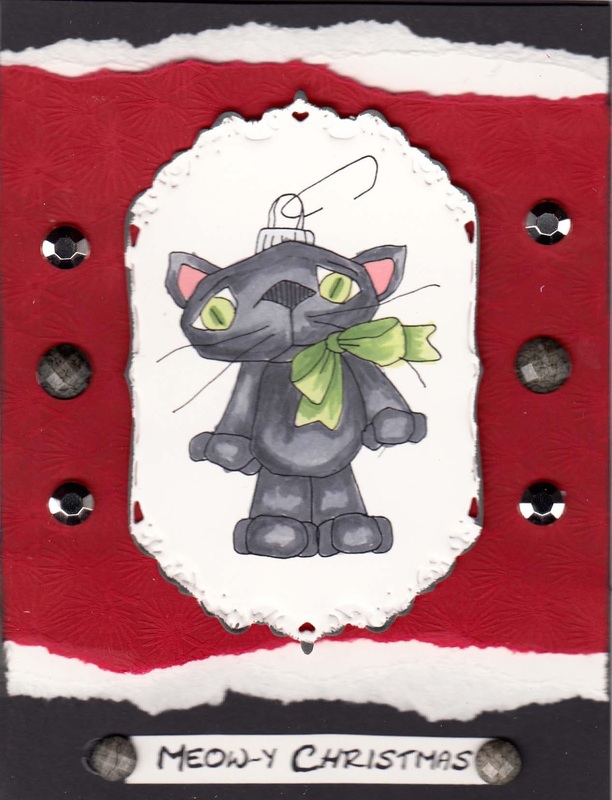 This is a cute image from artist Sandra Caldwell, he's an adorable Kitty Kat Ornament. I made this cute card and added a fun Meow-y Christmas sentiment with him. She's created several wonderful Christmas stamps that are available now at the Queen Kat store. Drop by and check out all of Sandra's great digital images as well as her wonderful rubber stamps. I know many of you start your Christmas cards this time of year. Like you I know if I do just a handful of them every week, by the time December rolls around, I will already have a wonderful stash of beautiful handmade cards to give away! Love the kitty ornament! So cute! Gorgeous cat- a perfect card for all those "feline" lovers!! !